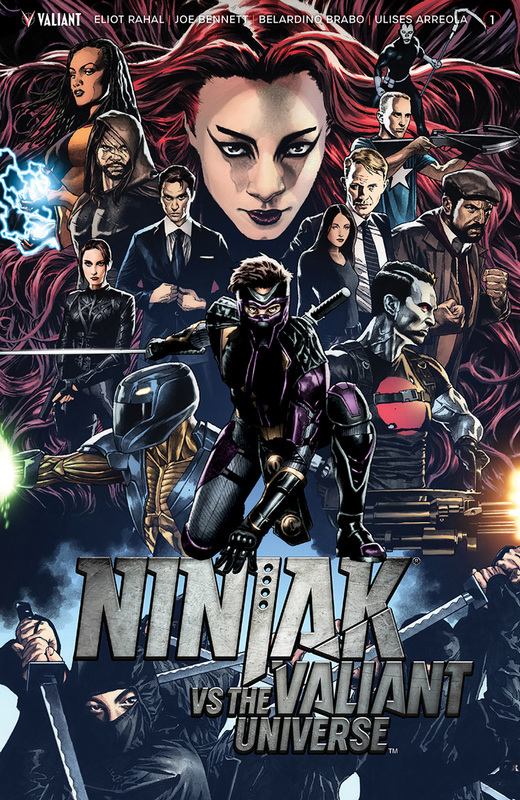 As first announced at the 2018 Chicago Comic and Entertainment Expo (C2E2), NINJAK VS. THE VALIANT UNIVERSE will begin streaming on Comicbook.com on April 21st, starting with the first of six episodes! Each subsequent episode will debut one per day thereafter, culminating in the finale on April 26th. 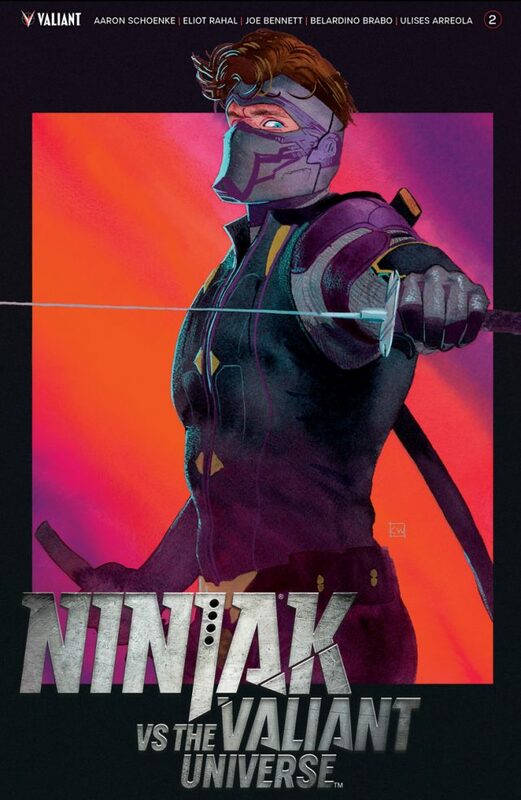 The bone-shattering series will pit MI6’s master assassin, Ninjak, against a gauntlet of Valiant’s most formidable heroes for a bloodstained battle royale torn from the pages of the largest independent superhero universe in comics! Directed by Aaron & Sean Schoenke of Bat in the Sun Productions – the creators of the massively popular YouTube sensation Super Power Beat Down – and written by Aaron Schoenke, Sean Schoenke, Joe Harris, and Andrew Rowe, NINJAK VS. THE VALIANT UNIVERSE stars Michael Rowe (The CW’s Arrow and The Flash) as Colin King, aka Ninjak; Jason David Frank (Power Rangers) as Bloodshot; John Morrison (WWE, El Rey’s Lucha Underground) as the Eternal Warrior; Chantelle Barry (90210, Entourage) as Roku; Kevin Porter (Dodgeball) as Armstrong; Ciera Foster (Two and a Half Men) as Livewire, and Derek Theler (ABC’s Baby Daddy) as X-O Manowar. PLUS: Jump headlong into the fight-fueled showdown of the century as acclaimed writer Eliot Rahal (The Paybacks) and red-hot artist Joe Bennett (Teen Titans, Deathstroke) reveal the full scope and adrenaline-drenched intensity of the NINJAK VS. THE VALIANT UNIVERSE comic book series! The first three issues are available now wherever comic books are sold, and the final issue debuts April 18th, just days before the digital series drops on your device! THEN: Also on April 18th, Overworld Games debuts NINJAK VS. 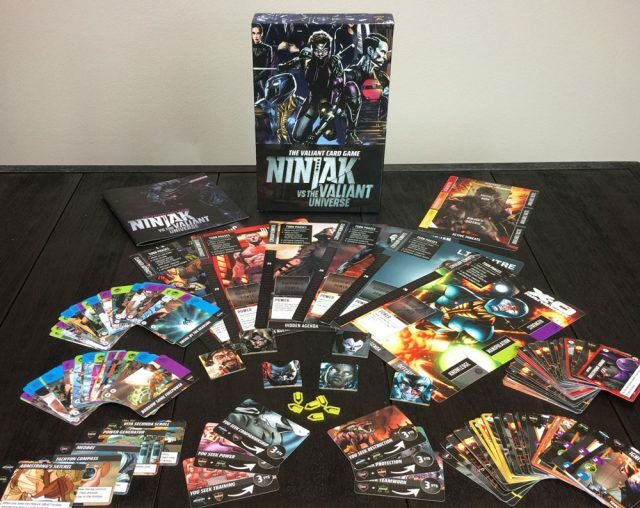 THE VALIANT UNIVERSE – THE VALIANT CARD GAME, an interactive adventure in which players take the roles of their favorite Valiant heroes to team up to stop Ninjak, who has stolen a book of enormous power and disappeared. 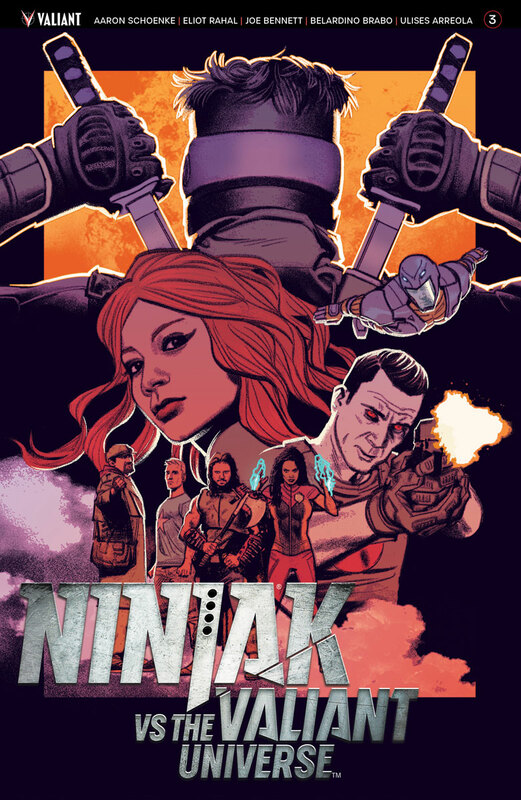 Players must build up their power to survive the surprises and traps Ninjak throws at the team…while also attempting to fulfill their own private agenda. The game will be available at hobby and game shops, comic book stores, and at Overworldgames.com. 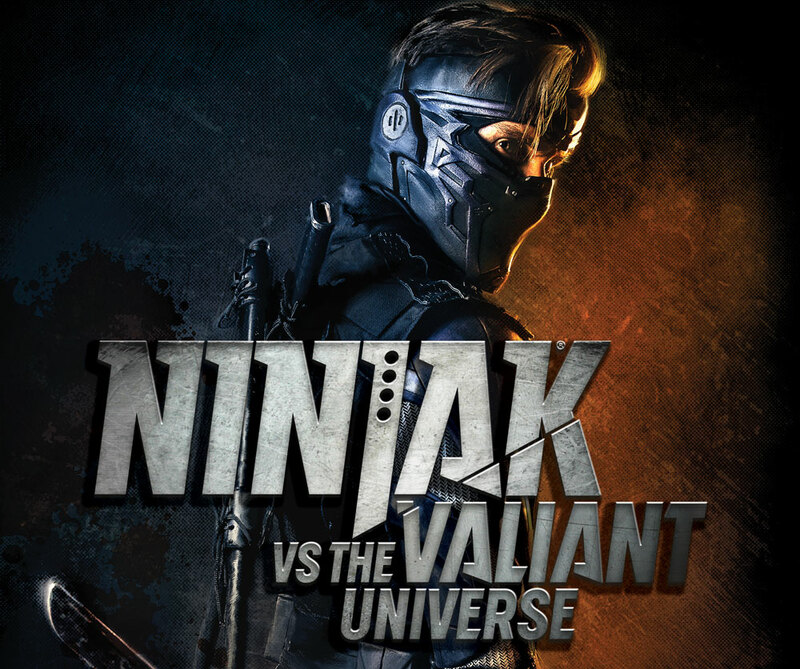 Get ready for the much-anticipated, first-of-its-kind, live-action digital series NINJAK VS. 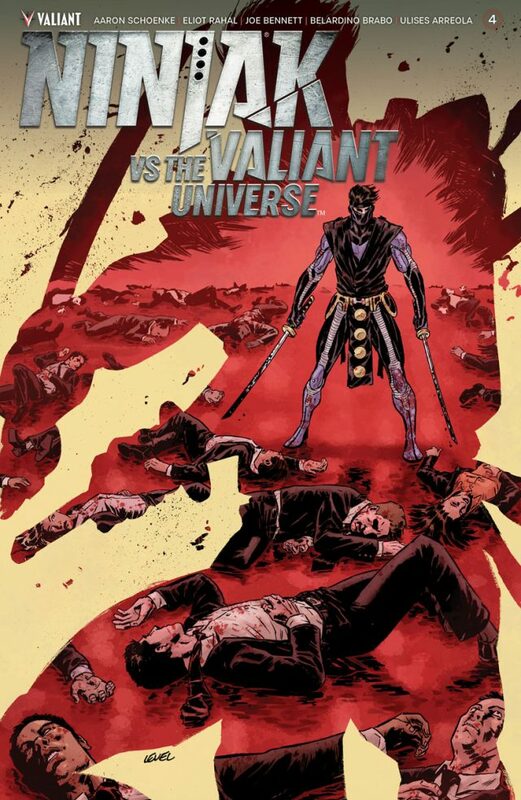 THE VALIANT UNIVERSE, coming from Bat in the Sun Productions and streaming on Comicbook.com, starting April 21st!